To Main » Seeds » Village and Stronghold: Hashtag WHAT??? If you ever wanted get into The End, at first you need to find a stronghold. 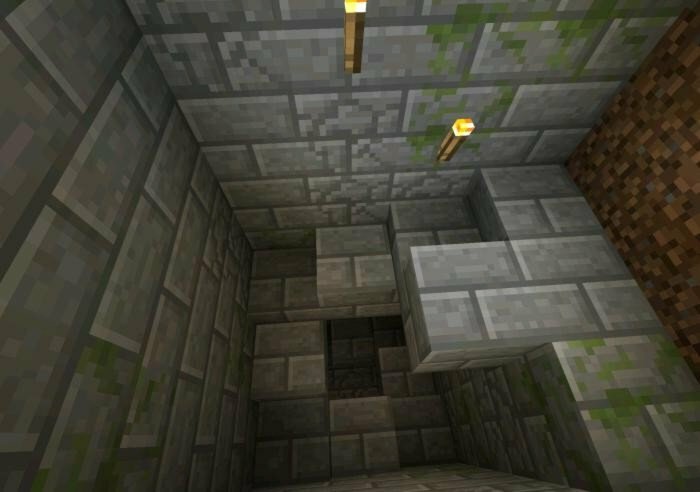 Finding a stronghold is a difficult task, you need to kill a lot of Enderman and craft Eye of Ender. But in this seed, stronghold is very easy to find, it's almost right under you. 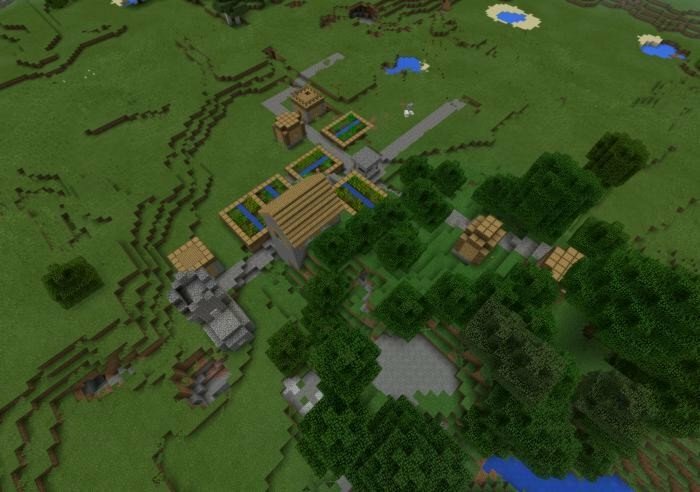 To find the stronghold, go to the center of the village and find the well, jump in to the water and dive to the bottom, then start to dig - soon you will drop down right opposite the entrance of the stronghold.